A rich, yet fresh crème-gel enriched with Hyaluronic Acid, nature’s own miracle moisturiser. 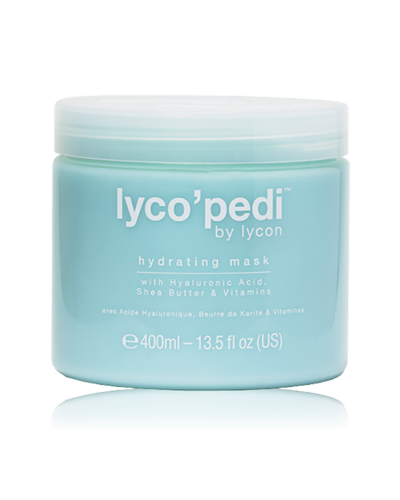 The combination of Marine Collagen and Hyaluronic Acid allows the lyco’pedi Hydrating Mask to rapidly hydrate, moisturise and revive tired feet. 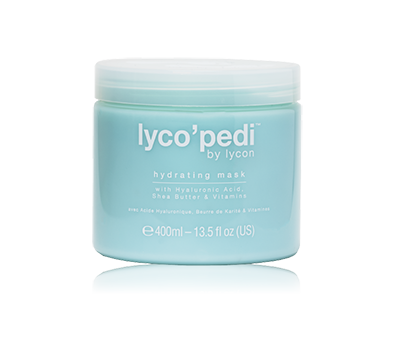 This clay-free mask restores smooth, comfortable, youthful looking skin and wipes away easily – leaves no greasy or powdery residue.